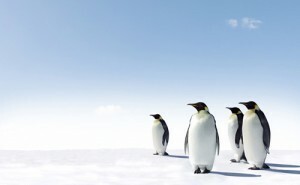 Released in April 2012, Google Penguin was the search engine’s response to increasing use of “black hat” SEO techniques for link building. Penguin rewards sites that have natural, valuable, authoritative, relevant links, and penalizes sites that have built manipulative links solely for the purpose of increasing rankings, or links that do not appear natural. 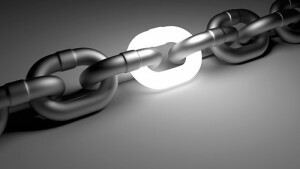 Unnatural links are generally created through manipulative link building techniques, such as buying links, building thin sites simply for the purpose of linking back to a main site, trading links, comment spam links and other similar tactics. Links are considered to be one of the primary factors used by Google to assess the ranking of a web site. In many ways a link is like a vote and if a popular site links to your site then this is considered a recommendation. If an less popular or unknown sites links to you then this recommendation is not going to provide as much weight as one from an authoritative site. However, if you can get a sufficiently large enough number of these links they can help your site to rank well. Historically this is why many site owners, and SEO agencies, attempted to get as many links as possible from any site that was available to them including directory listings, link farms, comments and forum posts. Another important factor in link building is the anchor text, seen in a web browser as the underlined portion of the text contained within the link. Along with the authoritative value of a link, the anchor text is used by Google to determine if a site, or page, should rank for a particular keyword. Let’s say that you have a site that sells widgets. If you were able to get a number of sites linking back to you with the anchor text of “widgets”, then this would indicate to Google that people looking to buy widgets would probably want to see your site in their search results. Many site owners in the past attempted to use this technique in a very aggressive way ensuring that hundreds, perhaps thousands, of low quality links were embedded with the specific keywords related the product or service they were offering. By 2012 this two pronged approach of unnatural link building with highly targeted anchor text had reached critical mass amongst “black hat” SEO practitioners and Google felt that a correction had to be applied to ensure high quality search results. The Penguin update is affectively a filter that is run over the entire web on a periodic basis designed to remove severe web spam. Sites that Penguin deems to contain a large number of unnatural links, including those with overly optimised anchor text, will no long er rank as well as before. Penguin is not run on a continual basis, nor does it run in real time over the search results that are generated by visitors. It’s more of a process that is applied anywhere from a monthly to quarterly basis. Essentially Google reruns the filter on the web sites it knows about, to see if any improvements have occurred, if new ones should be penalized and to adjust any false positives. The filter also changes, when one of these updates occurs. Google generally makes minor tweaks to it, designed to improve their ability to catch what they consider poor link building tactics. Has My Site Been Hit? The first steps is to log into your Google Analytics account and check to see if any sudden drops of traffic coincide with the dates above. If the drops in traffic coincide with these updates then review what keywords you have stopped ranking for. Google Analytics, Webmaster Tools and third party services such as Moz and Semrush can help you to determine your current ranking for particular keywords. The next step would be to check your anchor text diversity – this is the ratio of ‘brand name and non-money’ anchor text to ‘money’ keyword anchor text links to your domain. ‘Money’ keywords refer to key phrases you’re trying to get rankings for as opposed to more natural-looking text links such as: mywebsite.com, www.mywebsite.com, your business or brand name, your website name, ‘click here’, ‘here’, etc). To analyze your anchor text density you can use the following online tools Remove’em, Majestic SEO, SEOmoz’s Open Site Explorer and Ahrefs. See the following guide below to the ideal percentage mix of text anchors that should be used to point to your site. “This is my favourite album, which I recently ordered from Diva Records”. 1-5% – These can be variations of your main keyword. These should be used as a last resort, not a first option. Keep in mind, the less you use it, the more powerful it becomes. 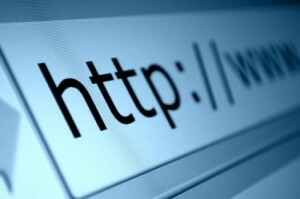 A external sitewide link is a link pointing your web site that appears on most or all of a website’s pages. Until this practice was stopped by Google in it’s Panda update, SEO practitioners would use site wide links to artificially inflate the number of links pointing to a site. Commonly those links would be placed in the footer or side bar of a website, and would thus appear on every page throughout the site. Hence the term sitewide. Those links might also include the exact keyword term the site wanted to rank for if the SEO was being particularly manipulative. In order to further investigate this, it’s quite important to check and distinguish between domain links from total backlinks. A quick check in Google Webmaster Tools ‘Link to Your Site’ report tab will reveal linking domains and the number of links from each domain. A more detailed report can be generated using backlink analysis tools such as Link Research Tools, Majestic SEO, Open Site Explorer and Ahrefs. If looking at your own site you see a high number of total backlinks as compared to compared to domain links then this would indicate a significant number of site wide links. Which together with money anchor text links indicates a negative backlink profile. You’ll also need to identify the unnatural links pointing to your site and either remove them, or if you can’t remove them you can ask Google to no longer count them by using the disavow tool. The last three tools will help you to review backlinks from domains with low citation and trust flow. In Link Detox high risk back links are automatically flagged. 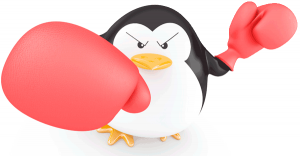 If you have done a good enough job at cleaning up your unnatural links then, the next time that Penguin refreshes or updates, you will once again regain trust in Google’s eyes. In some cases, it can take a couple of refreshes in order for a site to completely escape Penguin because it can take up to 6 months for all of a site’s disavow file to be completely processed.